There’s a new restaurant in town that we’re in love with. 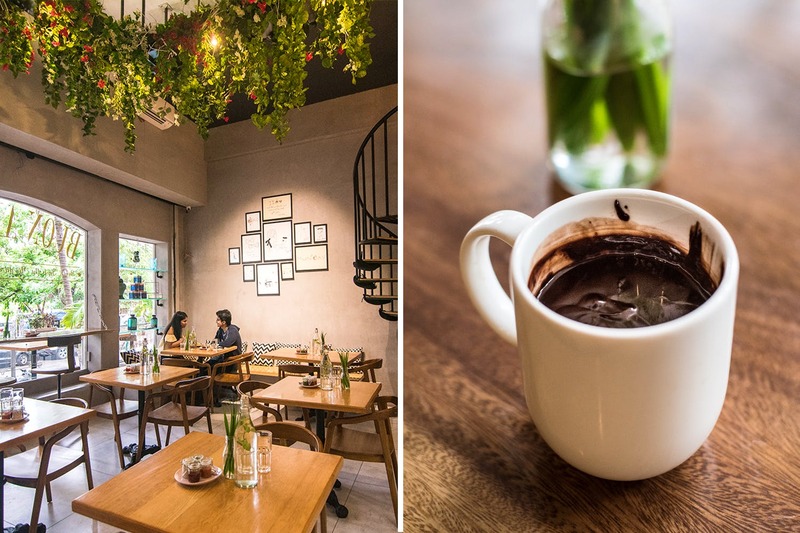 Pesto Pesto, located in Koregaon Park, has stolen our hearts with its incredible Italian fare and lovely decor. While we might not be able to call the place new, given that it was previously located at Onyx Mall, we still are taking the liberty to do so only because the place is as good as new. They now, having opened up on June 2, serve only Italian and you bet they’re doing it right. We simply love that you can make your own customized pizzas and pasta. Whats better than having a yummy pizza with every topping of your choice, you ask? Well, one with a super delicious and healthy glutton-free base. Guilt-free pizzas, oh yes! We also liked their spinach and mushroom puffs and the chicken and bell pepper puffs. You must ensure you order yourself a bagel when you’re at the place. We recommend the cheesy mushroom loader. Do not miss out on the beetroot and red wine risotto, the chilli cheese toasties and the smoothie bowls. What stole our hearts was the lovely red wine hot chocolate. So, if you’re not looking to have a meal, a lovely hot chocolate would be just perfect during the rains. The place is prettily done and the fact that a meal for two costs around INR 600, makes it a perfect date spot. So whether you have a lunch date in mind or a lazy hot chocolate to have conversations over, Pesto Pesto is where you want to be headed next. Their mains and starters might be on hold so check with the restaurant before you head there.